Registration - When you create an account on Zocal, you provide your some personal information such as your name, e-mail, username, gender, date of birth, location, and some other details about yourself. Information such as your name and/or username, may be searchable by other users through the network. You are allowed to edit and update any of the information you provide us through the 'Settings' page. 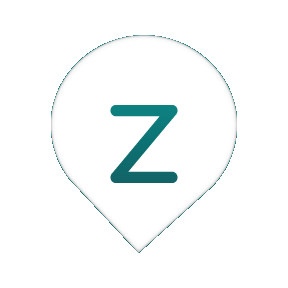 Location - Please note that Zocal will never display your exact location to your contacts and friends on Zocal. Your exact location is always centralized to the city that you are in and shown to your friends and contacts on Zocal. Zocal recommends that you share your personal information such as your telephone number, e-mail address, exact location, home address and other contact information only with your friends or your known and trusted contacts. Who can view your information? : While only your basic information (including your list of friends) would be searchable through the Service, your friends would be able to see your entire profile, activity feed posts and other information that you choose to upload. The information you upload on Zocal is on a voluntary basis and at your own risk. Zocal owes you no compensation for the data either uploaded by you or gathered about you when using the Service. Subject to your privacy settings, you also agree to provide your friends or followers on Zocal who are able to access your information through the Service a non-exclusive license to access, copy, modify, distribute or display your submissions. a. To send you information about our services. b. To provide customer support or respond to any inquiry. c. To enforce our Terms & Conditions. d. To process any form of payment for any goods or services ordered on our site. e. To generate anonymous informational statistics regarding the use of our Services (the results of which may be shared publicly). Please note that this will not be linked to any personal information that can identify any individual person. f. To generate data for our internal studies to improve our Services. g. In any business acquisition, merger, fund-raising or sale of any of our assets (including negotiations for the same). h. To prevent any illegal or fraudulent activity, including but not limited to hacking, security breaches or safety risks. i. In any business operation to which the information provided by you relates to. j. As provided under bankruptcy or applicable laws. k. As provided by the enforcement of equitable rights. l. To serve targeted ads to you when you visit Zocal. Please note that we maintain backups of the information contained on our website and mobile services and thus even when you alter, modify, or delete a certain submission, it may be possible that it will still be able to be viewed in our archives or in cached information. If any of your information changes or for some reason you no longer wish to be part of our service, you may update, de-activate or delete your account through the "Settings" tab. While the Terms of Service list the guidelines for the kind of content that is posted by other users, Zocal is not responsible for the content posted, uploaded or submitted by its users nor is it required to monitor or control such submissions. Any use or reliance on such submissions is to be done at your own risk. However, Zocal does reserve the right to copy, modify, distribute or delete the content that is posted by its users without providing any compensation or prior notice for the same if, but not limited to, it violates the Terms of Service. Like several other websites, we use small files known as 'cookies' to collect website data and enhance our Services. A cookie is a small data file that is transferred to your computer. We may also store your 'Login Information' such as your IP address, the referring domain, pages visited, search terms and browser type. a. Monitoring aggregate usage by our users and web traffic routing. b. Holding member's login information so that you need not re-enter them when you visit the website. This option is disabled after 'logging off' the Service. c. Using the Zocal Service more easily, by means of a temporary 'session' cookie. These cookies disappear after either 'logging off' or when the browser session ends. d.	Running targeted advertisements. Advertisers or sponsors may place their own unique cookie that they can recognize. Most browsers accept cookies automatically. You can change your browser's cookie settings to stop accepting cookies or to prompt you before accepting a cookie from a website. As part of the Zocal Service, you may receive e-mails, push or in-app notifications regarding updates in your account, reminders, information about the travels of your friends or other information at our discretion. You may change these notification settings in the 'Settings' tab. a. With your consent with third parties, such as when you use a third party client on Zocal. b. With our service providers or subsidiaries that perform functions and provide services to us. However, we may share your information with these parties only to the extent where it is needed to provide the service. c. When we feel it is necessary to supply, edit or delete any of your information to comply with a legal request, regulation or law to protect the safety of any person, to address fraud and security issues or to protect Zocal's rights or property. e. We may share your non-private, non-personal information or other aggregated information with trusted parties for internal and external evaluation purposes to improve our Services. f. With other users, your friends and third-parties as listed in Clause 2.
g. Though we make attempts to prevent it from happening, we cannot guarantee that your information will not be seen by unauthorized people. h. The activity feed may aggregate and display your information, travels and status updates to your friends. d. Contact our team at zocal@zocalapp.com in case of any security concern. Zocal attempts to create a global community with consistent standards for everyone. However, in doing so, there are special provisions necessary for users who do not live in the same countries where Zocal's servers and offices are located. In order to better provide consistent services to all users globally, the following provision applies to all users: Data and user submissions may be transferred to and processed on Zocal's servers which may be in a country that you may or may not be affiliated with. When inviting friends or importing contacts to the Zocal service, members consent to an e-mail or text message being sent on their behalf to the relevant e-mail address or phone number as well as any subsequent reminders. Zocal is not responsible for the privacy, practices, content, or policies of third-party websites or services, even if they are affiliated with Zocal, or use any of our APIs or link, or promote, or advertise on or for Zocal. While we will make every effort to protect the privacy of our users, the user is solely responsible for visiting third-party websites and Zocal is not to be held liable should any issues arise therein. Zocal is not directed to people under the age of 13. We do not knowingly collect information from users below the age of 13. If you believe your child has created an account on Zocal by forging his or her age, please contact us to have the account removed.